We’d love your help. 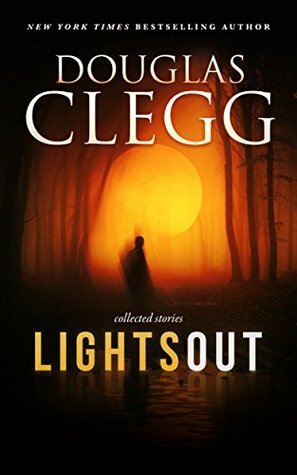 Let us know what’s wrong with this preview of Lights Out by Douglas Clegg. Dark, Scary, Thrilling, Strange, Creepy, Mysterious -- a mega-collection from a master of the fiction of nightmares. From New York Times bestselling author Douglas Clegg comes this giant gathering of classic dark fiction of suspense, horror and nightmare logic, including the previously-uncollected novelette, Funerary Rites, as well as the critically-praised novelettes, Whi Dark, Scary, Thrilling, Strange, Creepy, Mysterious -- a mega-collection from a master of the fiction of nightmares. From New York Times bestselling author Douglas Clegg comes this giant gathering of classic dark fiction of suspense, horror and nightmare logic, including the previously-uncollected novelette, Funerary Rites, as well as the critically-praised novelettes, White Chapel and I Am Infinite, I Contain Multitudes, and The Dark Game. A total of 700+ pages if in print. Also included in this collection are all the short stories from his three collections, The Nightmare Chronicles, Night Asylum and Wild Things. This is a great collection for the fan of Douglas Clegg's award-winning stories and novels as well as for the new reader of his work. The Nightmare Chronicles, within this collection, won both the Bram Stoker Award and The International Horror Guild Award. To ask other readers questions about Lights Out, please sign up. I can't figure out why Douglas Clegg is not a household name. In my mind he is a giant of horror fiction and deserves to be up with the likes King, McCammon, etc. In many ways I think his work is even better. From quiet to extreme, Lights Out covers all aspects of dark fiction and does it perfectly. If you aren't familiar with Douglas Clegg yet, it is time to correct your mistake. 5 stars, highly recommended. I got through a few stories. They were interesting enough. If you're looking for stories that will scare the pants off you, look somewhere else. A decent read by a talented author. He can fulfill my need for a good, creepy story in as little as 2 pages. That is an accomplishment. As with any anthology, there are hits and misses, hence the 4 stars, but the good ones Sent some chills up my spine. Douglas Clegg delivers the perfect collection of short stories for fans of Stephen King, H.P. Lovecraft, & Clive Barker. I couldn't have had better to read in October for Halloween! Clegg never fails me. This collection of short stories is equal to Stephen King's Skeleton Crew & Bentley Little's The Collection in quality & imagination. A feast for Horror fiction fans.